Global coffee production creates in excess of 23 million tons of waste per year, according to sustainability researcher Gunter Pauli, from the pulp of fresh coffee cherries through the packaging that brings the roasted beans to your favorite barista. At the consumer end of the supply chain, used coffee grounds are the most visible example of this waste, the bit we dump in the bin after making each fresh brew. 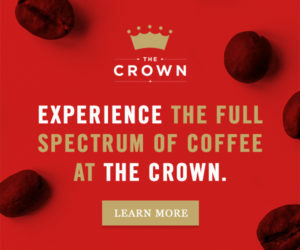 Most coffee lovers don’t give much thought to their spent grounds, but these black, sodden remains of pulverized coffee seeds have inspired the freshly caffeinated imaginations of scientists, entrepreneurs and social innovators from Melbourne to London to Seoul, sprouting into ideas of real consequence for the coffee industry. Across the world, companies, researchers and engaged consumers are pioneering the next era of environmental sustainability. Enabled by policy changes and innovative technologies, a new paradigm known as the circular economy is emerging, one that holds the promise of reshaping the global economy and transforming our relationship with the natural world — the coffee tree very much included. The aim of the circular economy is to close the loop of our industrial system, reducing resource consumption and environmental pollution by transforming waste into input material for the next stage of production. 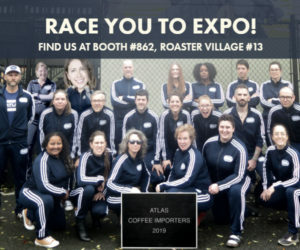 The nonprofit Ground to Ground has enlisted the help of numerous coffeehouses to collect and distribute used coffee grounds. Photo by Shane Genziuk. The simplest way to reuse used coffee grounds is to compost them. Photo by Shane Genziuk. 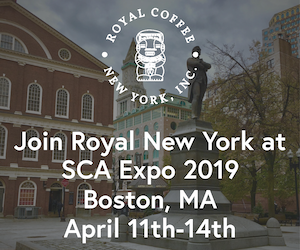 Over the past several decades, nongovernmental organizations have gradually succeeded in persuading businesses to adopt a variety of sustainable practices that ultimately transformed the specialty coffee industry. 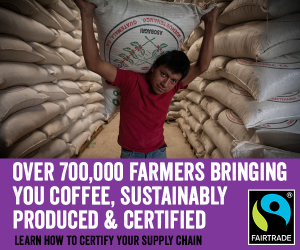 In 2012, for example, 40 percent of global coffee production was produced in compliance with a voluntary sustainability standard, up from 15 percent in 2008, according to the State of Sustainability Initiatives, an organization that reports on global sustainability projects. At the same time, the way for-profit businesses view sustainability has shifted. What began as a somewhat radical concept has evolved into a set of pragmatic managerial practices aligned with corporate objectives, something businesses of all sizes have, for the most part, embraced. 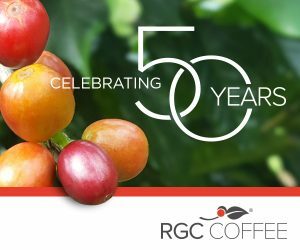 Transitioning to a circular economy will be a bigger challenge, but just as the global specialty coffee sector pioneered the adoption of sustainable production practices, it now stands poised to lead the food sector in closing the loop of production to reduce resource costs and environmental damage. This concern for the environmental impact of coffee production isn’t just altruism or public spirit. Climate change and accompanying public concern present a real threat to the viability of the coffee industry, and consumers are increasingly concerned about the environmental and social impacts of the coffee they consume. Clearly these challenges are multi-faceted and won’t be resolved by any single movement, no matter how expansive, but adopting a circular economic business model, and thus reducing waste and alleviating the environmental impacts of non-sustainably sourced input materials, could make a significant impact. 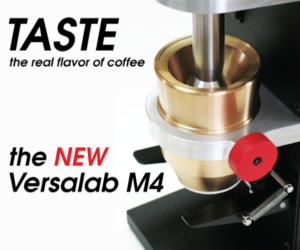 Fortunately, scientists, entrepreneurs and coffee lovers around the world are creating innovative ways to move the industry forward. 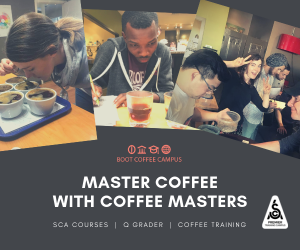 Shane Genziuk is founder of Ground to Ground, a social enterprise based in Melbourne, Australia, that educates coffee lovers about the myriad wonders of used coffee grounds and connects them to cafes that bag used grounds for easy pickup. He estimates he’s signed up nearly 1,000 cafes, working in partnership with a liates in London and Austin, Texas. Genziuk — who has a full-time job and a young family, and is completing a Ph.D. in business administration — runs Ground to Ground on passion and copious levels of caffeine. He is acutely aware of the waste that goes into making his favorite drink, and he wants to make a difference by leading a movement for social change. 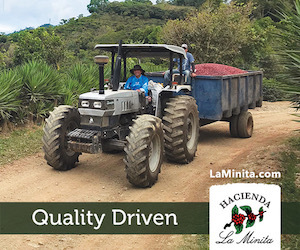 When you educate consumers about the environmental impact of coffee production, he says, they typically recognize their own contributions to the global problem and, in turn, are motivated to become part of the solution. Ground to Ground is, at its heart, an effort to encourage greater recycling and reduce waste. 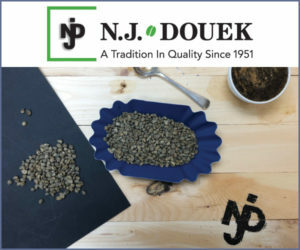 Genziuk distributes educational material on his website and in person to cafes on the numerous and diverse uses for coffee grounds, such as compost, de-icing material, hair dye and skin exfoliator, among others. Participating cafes agree to bag used grounds and offer them to customers free of charge, helping to divert organic waste from the land fill while sparking greater awareness about sustainability and the impact of individual consumption on the environment. According to Zhu Dajian, director of the Institute of Governance for Sustainable Development at Tongji University in Shanghai, initiatives like Ground to Ground are important, but insufficient as a response to global environmental challenges. What sets the circular economy apart is the imperative not just to reduce impact, but to create new value while doing so. Only in this way can the shift away from the linear economy be realized. One of the key ideas of the circular economy draws its inspiration from industrial ecology, which studies the flow of material and energy through industrial systems in a manner analogous to the natural ecosystem. Just as nature wastes nothing, recycling nutrients in a closed loop, so proponents of the circular economy aim to make use of all waste as input for further value creation, doing away with the idea of unwanted byproducts. 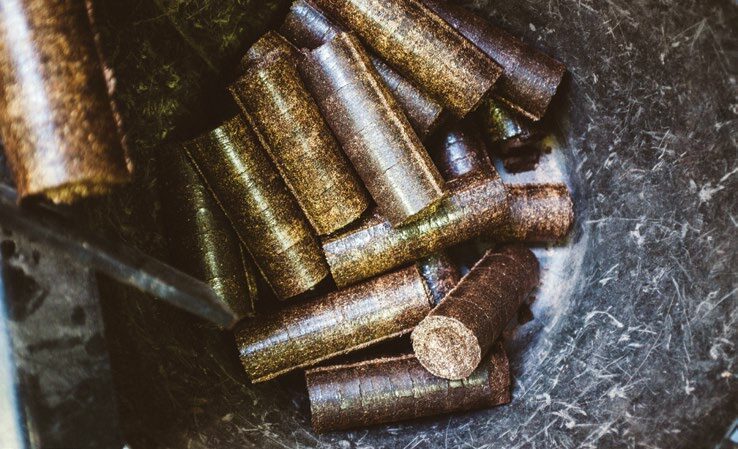 Biomass pellets made from waste coffee grounds. Photo courtesy of Bio-bean. 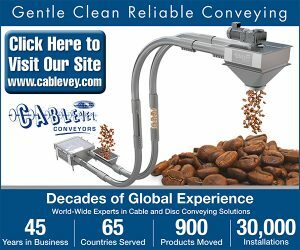 In recent years, there has been a surge of companies using coffee waste — both used grounds and discarded coffee cherry pulp — to create new products, including paper, our, 3D printer lament, charcoal, textiles and numerous others. 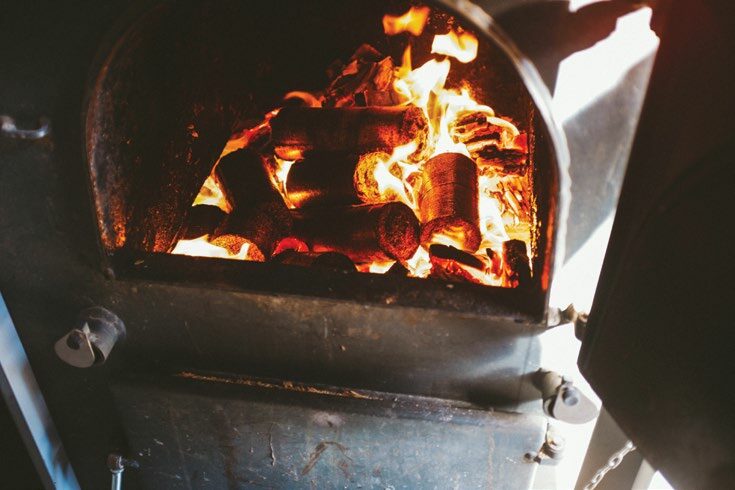 One of the most widely touted examples is Bio-bean, a London firm that has attracted considerable media and investor attention for its plan to collect waste coffee grounds from the city’s cafes and convert them into biofuels. The concept is based on research from the University of Nevada, which analyzed used grounds for oil content and found they contained on average about 10 to 15 percent oil by weight. Bio-bean is the first company in the world to industrialize this process, and recently opened a 20,000-square-foot factory in north London capable of processing 50,000 metric tons (about 55,000 tons) of used coffee grounds per year — about one-tenth the waste grounds from all the coffee consumed in the U.K. The factory is designed to turn waste coffee into biodiesel, barbecue coals and biomass pellets. 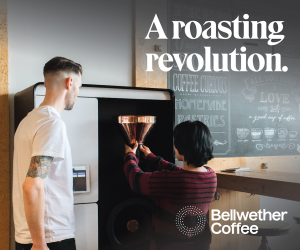 The company is even exploring the possibility of selling these pellets back to coffee shops to be used to roast coffee or boil water, which would create a true circular economy, with waste becoming the input power for the production activities that created it. Biofuel produced from used coffee grounds is referred to as “second generation,” meaning it isn’t made from crops that could otherwise be used as food. In a world of food scarcity, where the production of fuel from corn and sugar cane has led to skyrocketing food prices for the world’s poorest, second generation biofuels are particularly promising. 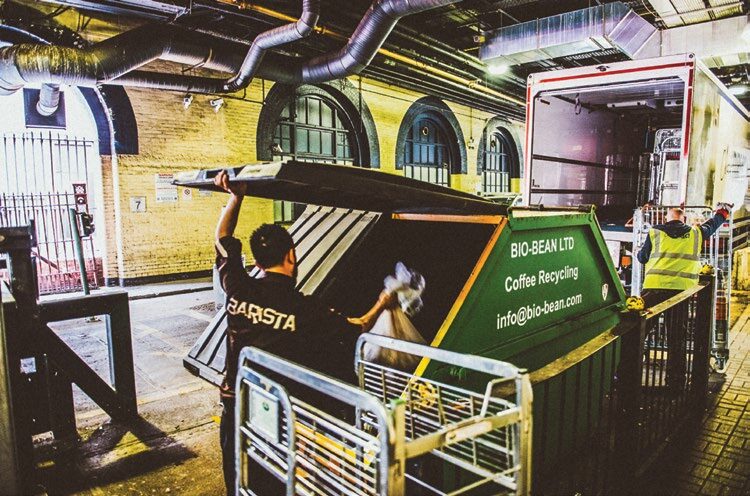 Bio-bean recently partnered with Network Rail, which owns and manages the U.K.’s railway network, to collect the coffee waste generated by its six biggest stations. 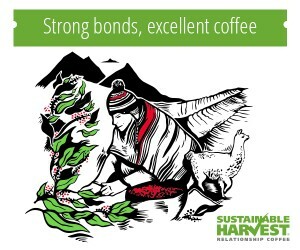 These sorts of partnerships will be crucial as companies strive to create products from used coffee grounds, because unlike other agricultural commodities, where processing and waste production takes place in a central location, coffee grounds are used and disposed of in thousands of locations dispersed across a wide area. Genziuk says this has been one of the largest barriers to his own enterprise, and he’s not sure the economics can be resolved. For him, that’s not necessarily a deal-breaker. 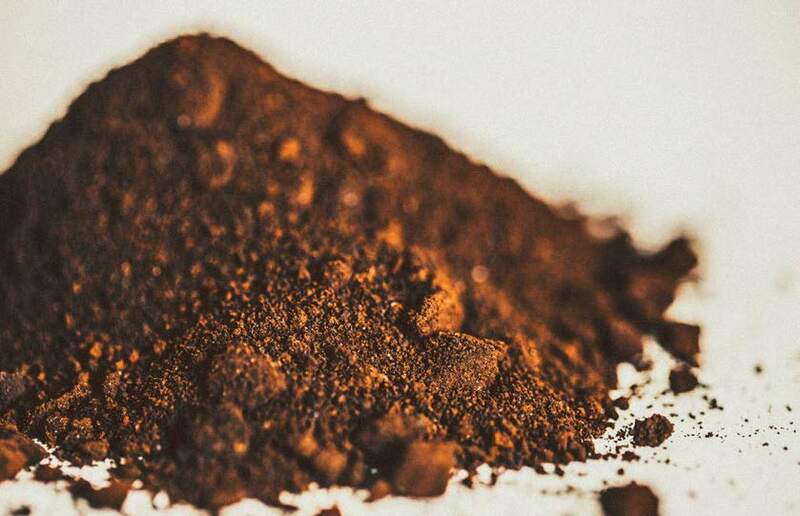 U.K.-based Bio-bean collects waste coffee grounds from hundreds of locations. Photo courtesy of Bio-bean. Of course, the circular economy isn’t being promoted by organizations such as the World Economic Forum strictly because of its potential to do right by society; it is also a massive economic opportunity. A 2014 report by the global management consulting firm McKinsey & Company suggested the adoption of circular economic principles could lead to savings in materials costs exceeding $1 trillion a year by 2025. For its part, bio-bean is doing its best to prove Genziuk wrong. In addition to partnering with Network Rail, the company has partnered with recycling company First Mile to run a coffee ground collection service, sending a van to pick up grounds from cafes in central London. 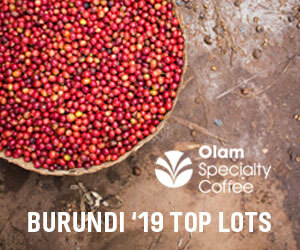 The cafes give bio-bean the grounds free of charge, as they would otherwise have to pay disposal fees (which are based on weight) to have the grounds carted to land fills. To date, around 100 London cafes have signed up to have their coffee waste collected, saving them money and providing bio-bean with free input material for its production process. Whether or not this sort of collection method is scalable remains to be seen. London is one of the most densely populated cities in the developed world, making this method of collection relatively economical. With coffee being produced in thousands of different pots and machines throughout a city, the dream of putting all coffee waste to good use still faces enormous obstacles. Changing public policy could help. Genziuk notes that cafes in Melbourne pay for waste collection by the bin rather than by weight. Dajian agrees that governments can play a role in changing economic behavior and encouraging the adoption of circular economic practices. “If raw materials are cheaper than secondary materials, I think it’s not possible to make the linear economy into a closed loop,” he says. He advocates a tax on raw materials and subsidies for pilot projects and businesses that are putting circular economic models into practice and looking to scale. The renewable energy company bio-bean conducts extensive research and development into uses for waste coffee. Photo courtesy of bio-bean. 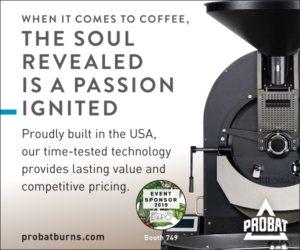 Bio-bean’s innovation has been to extract the value from the leftover oil and combustible material in used coffee grounds. Meanwhile, researchers in South Korea have found value in the absorbency that allows grounds to retain oil in the first place. In a recent paper in the scientific journal Nanotechnology, Christian Kemp and his fellow researchers at South Korea’s Ulsan National Institute of Science and Technology show that heating, or activating, used coffee grounds using potassium hydroxide (i.e., lye) creates a new material with high surface area and the ability to store large amounts of methane. Methane is a powerful greenhouse gas, 84 times more potent as a warming agent than carbon dioxide. 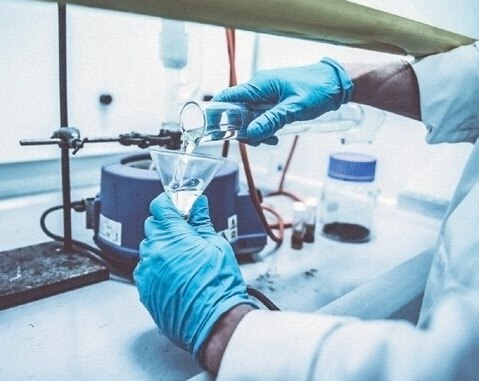 When returned to room temperature, the material created from the used grounds is stable and retains methane, meaning it could be used for long-term storage of greenhouse gases produced in industrial processes. Kemp is a South African physical chemist with a focus in material science. His primary interest is in environmentally friendly materials with catalytic or gas absorption properties. Scientists around the world in this field are using sophisticated production methods to create high-tech materials that can absorb and store the gases responsible for heating our atmosphere — including carbon dioxide and methane. These novel compounds have demonstrated breakthroughs in storing gas, but the starting materials are enormously expensive, which could limit their widespread adoption. Kemp was working on one such project when he was forced to rethink his approach. Unsure of how to move forward, he did what many of us do: He sat down for a cup of coffee with his colleagues. The coffee worked its magic, and the scientists landed on the idea to try using the coffee grounds as their input material. 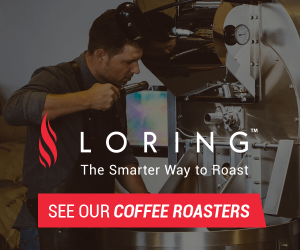 They combined the grounds (Kirkland brand, 100 percent Colombian coffee, dark roast, fine ground) with lye, then activated the mixture at 800 degrees C (1,472 degrees F) for an hour in a furnace. Turns out, that’s all it takes to make coffee capable of capturing the gas. The process is simple, Kemp says, and the cost for input material is next to nothing. Kemp also sees the material as a potential medium for storing methane in natural-gas-powered vehicles, which produce far fewer greenhouse gases than traditional vehicles. In cars currently running on natural gas, the gas is contained in a large metal tank in the trunk, a dangerous and heavy storage system. This limits the appeal, at least in the United States, for buses and heavy trucks. 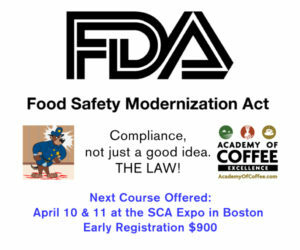 The activated coffee material has the potential to remove these limitations. Because it stores methane at such low pressure, it doesn’t need to be shaped into a conventional round metal tube to prevent the gas from exploding. It can be molded into any shape desired, even eliminating the need for a gas tank. The findings already have attracted attention from companies interested in the potential application in lithium ion batteries, the technology that powers laptops and smartphones. Just as the nano-scale pores in the activated coffee grounds capture methane atoms, the material also can be used to capture lithium ions. For Kemp, it’s all in keeping with his “one Earth” philosophy. When it comes to coffee, Dajian notes that only a small fraction of the material used and produced by the industry ends up in the cup; the remainder, from the skin of the coffee cherry at origin to the grounds left after brewing, ends up as waste. Reducing this massive output of waste, and ultimately achieving a true circular economy, will take decades of work and the efforts of many — from entrepreneurs and scientists to coffee roasters and coffee lovers — but the tide does seem to be turning. Duncan Pike is a freelance writer and Master of Global Affairs graduate from the University of Toronto’s Munk School of Global Affairs. Follow Duncan on Twitter at @dpjpike.